River Strand is always one the most well maintained courses I’ve ever played and its impressive right now. Greens are perfect and running super fast, 11. Great course. The best round I have ever played. I mean that. I hit more greens and fairways than I ever have and from a pure swing perspective, the most fun as well. A few things stuck out for me. I really slowed down my routine and stuck to it. I took the club back smooth, focused on softer hands, really made sure I finished my backswing and did dropped the arms and and hands down a couple times then finished the practice swing. Really felt smooth and connected. My contact with irons and flush, center, good divot and there were some shots with a perfect trajectory and good distance and accuracy. I had confidence, driver was one (and longer), and my irons were accurate. Playing the par 5 on Estuary with driver, 8 iron layup, and a wedge to 10 feet was fun, getting a birdie was even better. Watching a smooth 6i fly with a perfect trajectory, feeling balance and hearing it hit the green and check up was a great feeling. I was feeling like I had control out there. Even when bad shots happened, i could determine why and fix it on the next. 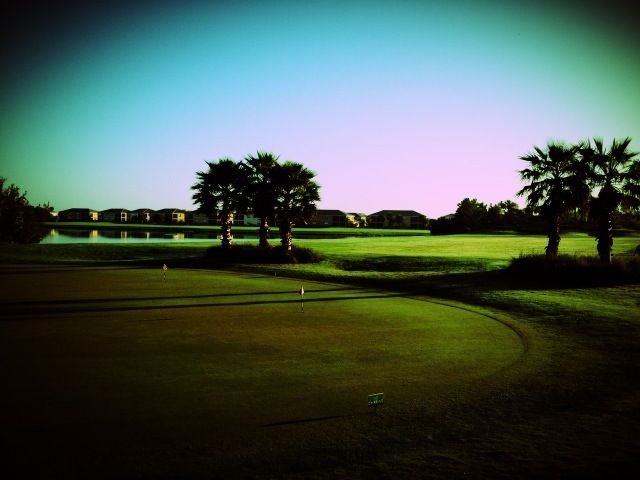 That course management mattered and that I had a chance to par every hole. 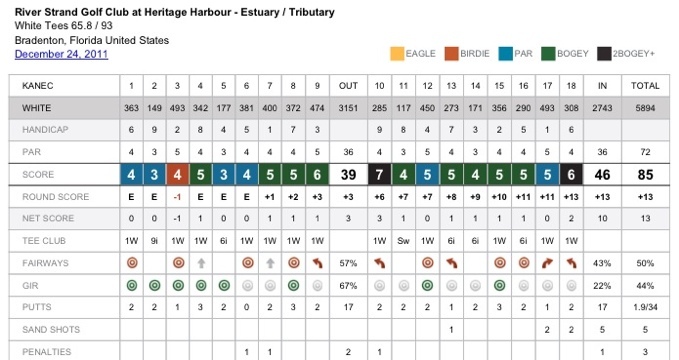 We started on 8 Estuary, but when we got back to 1, I went par,par,birdie, 3-putt bogey, par, basically even through 5 holes with 5 straight GIRs. That was fun. Hopefully I can keep this up and continue to work on my swing and get better. Really fun round today.